I was thinking about this for a while and I think that it is time to propose this idea. Most people are looking for C$ around the time that new store pets come out. I spend several hours looking through the C$ shops for pets that I want. What if there were a page that everyone's pets that are up for c$ were put on a tab like the pound. There could be two possible ways for this. 2. Set price and the first person gets the pet. so If there is the first one, it would be a set amount of time with a fair amount of C$. If it is the second one, you set the amount that you want for that pet and the first person that sees that pet and is willing to pay the price gets the pet. You will get your C$ if you set that pet up for auction for offer. This part will end up being like a trade. They get the pet and you get the C$. Please voice if you want this to be a possible option for a far in the future update. Every voice is appreciated. Last edited by PaintingDog692 on Mon Feb 04, 2019 1:57 pm, edited 1 time in total. i mean honestly, i really like this idea but i feel as if the mods will be like "that is what the trading post and auction threads are for" since there is already so much coding and stuff in the game. for peter, my good friend. with love, forever & always. 100% support this. I feel like sometimes I go looking for a couple pets and I have to go through maybe 20 accounts before I can even find one that I would like to get with my precious C$. If this is in the future, I feel like this is a big plus for the website and then people can look at all the pets available for C$. 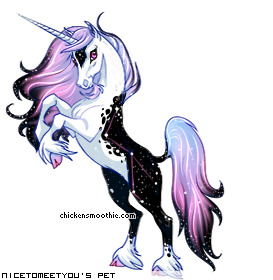 my main goals here are to get all of the unicorns and nick pets. We could get a better idea of the C$ economy, first of all. Aside from that, it would allow people with C$ to efficiently browse C$ shops for the pets they are searching for without having to scroll through the mess of forums and check everyone's selection of pets! trading with C$ would become much simpler to a degree. 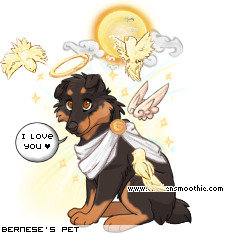 Take a look at one of my all-time favorite pets here just because. Have a nice day. can i keep him this way? I forgot to mention this in the first post. If wanted we could do like a date search. like say I have a large sum of C$ and I want to get a grinner from the list. You can look up the ones that have an actual name like the lists/store pets as well as dates. after hearing others opinions I have changed mine. Last edited by Ringo. on Wed Feb 06, 2019 5:27 am, edited 1 time in total. You can also put things that you think would make this idea better. I think this could be really cool actually. Maybe it could be similar to the sales on Howrse. 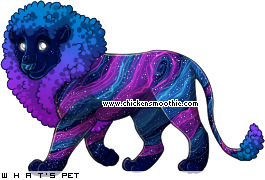 This would be really cool for chickensmoothie as a lot of times I buy my hoard pets and it would make it easier (I think) for people to get their dreamies. C$ would come back into demand. Perhaps they could put something into the trades as well stating that you can't trade a pet that's for sale as double-selling could be a problem. Overall, I totally support. I support this. Even with the rarities it is often hard to tell how much is a certain pet worth. This feature would be really helpful!